A good crop is an indispensable Dom staple. The classic design of this short riding crop is accented with attractive detailing on the rubber handle.Crisscrossed with elegant corset-style bands, the black contrast stripes enhance the visual appeal as well as your grip. 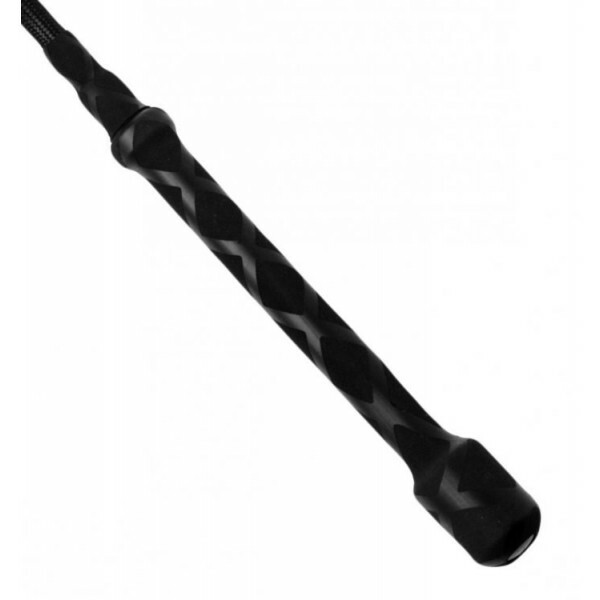 The springy shaft is made of durable plastic covered with woven fabric. 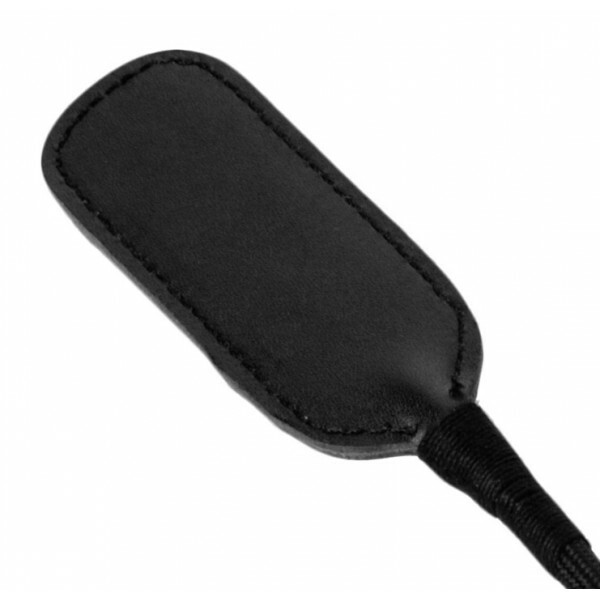 The genuine leather tip is a rounded paddle shape, bound in place with black thread. This is a great quality item with a nice and firm flexibility to it. The topper is fairly narrow(1.5" or so), which is a benefit if it's being used to slap between the legs of someone that is lying on their back. Great for spanking! Great crop. Short and compact, but still very effective. Well finished appearance. We own several Strict Leather products and they're all high quality. Got this for my daughter and she uses it for her riding classes at school. It is just the right size, nothing fancy...just right. This is good for the price, I would recommend it for beginners or those who like light play, I don't think it would hold up in anything too heavy.